In the unique landscape between the Northern Cape and the Free State on the banks of the Vanderkloof Dam, lies Otterskloof Private Game Reserve – a 14 000 hectare (33000 acres) reserve offering two accommodation options, up close and personal wildlife encounters, beautiful vistas, and personal service. To make your visit unique – we give you the freedom to roam, the farm becomes yours for your stay, making the experience truly personal. At Otterskloof we are well aware of the heritage we have been entrusted with and aim to preserve it for future generations. Our reserve therefore focuses on game management and the prolifiration of rare game animals. Otterskloof owners, Abel and Karen Erasmus, are well-known conservationists. Abel is a highly respected game farmer with a proven track record of more than 28 years. 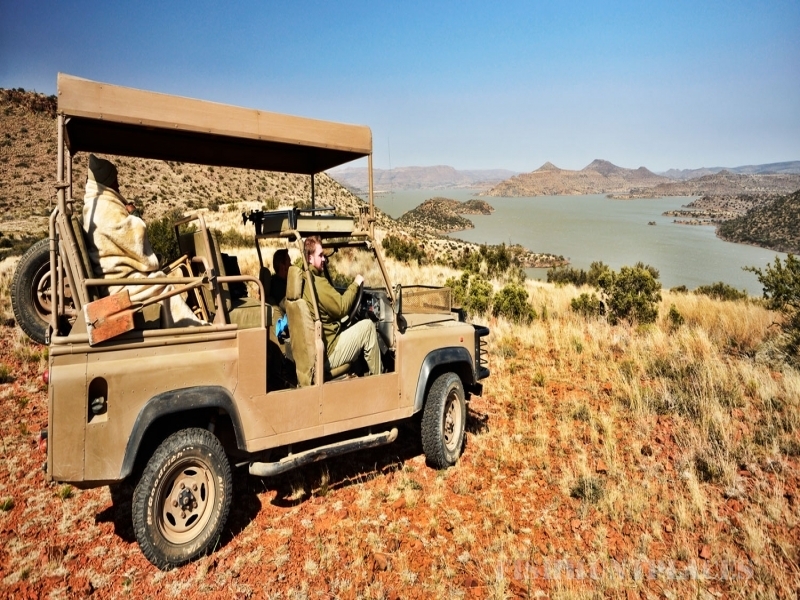 As former owner of Wintershoek Safaris in the Northern Cape, Abel was instrumental in one of the biggest private game relocations in 2006, when the land was expropriated and sold to the National Parks Board. The National Parks Board has since established the Mokala National Park on the purchased land. Most of the game at Wintershoek Safaris was relocated to Otterskloof Private Game Reserve. To accommodate the game, Abel acquired land in the Philippolis district and named the newly established reserve Otterskloof Private Game Reserve after the Otters seen in the ravine on the farm. The reserve was formed by amalgamating 14 stock farms into oneproperty and we are actively busy rehabilitating the area to its’ former glory. 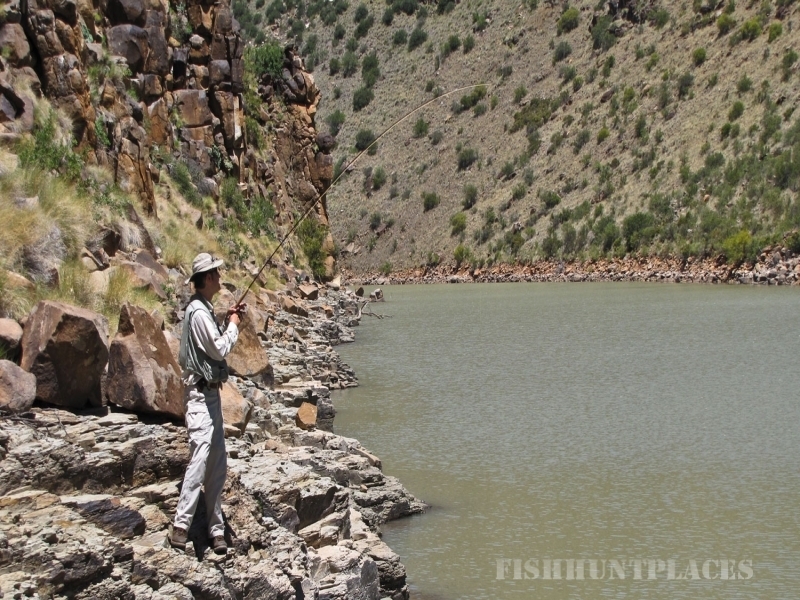 Being located on the dam offers guests at Otterskloof a rich biodiversity of fauna and flora to experience. The reserve is home to 32 species, including the rare Roan- and Sable Antelope,Fish Eagle, Blue Crane, various owl species, Rock Dassie/hyrax, Black Wildebeest (white tabled), Blesbuck, Blue Wildebeest (brindled tailed), Bontebuck, Cape Eland, Common reedbuck, Gemsbuck, Gray Duiker, Impala, Jackal, Mountian Reedbuck, Red Hartebeest, Red Lechwe, Steenbuck, Tortoise, Waterbuck, White Blesbuck, Zebra, Cape Buffalo, Kudu, Nyala , Springbuck and Giraffe. Indigenous flora grows in protected areas across the reserve. Our diversity is portrayed in our two individual safari lodges, each one with its own unique style and atmosphere. 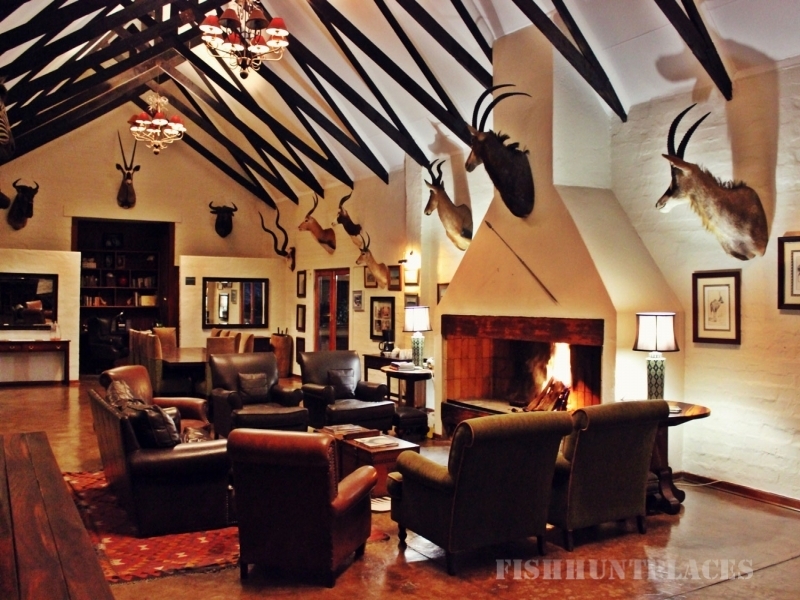 It is important to note that Otterskloof is also an ethical hunting destination and that this is reflected in the décor of our rooms and public spaces. 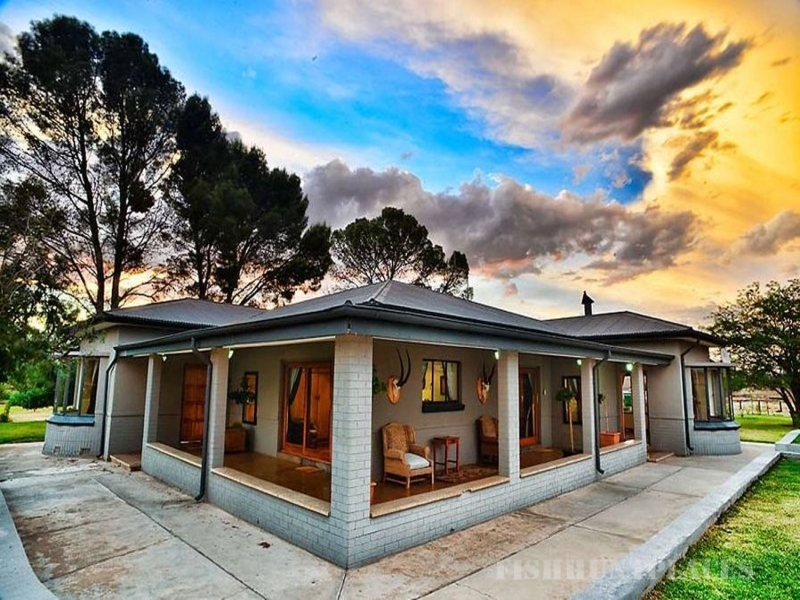 Otterskloof is not only a game reserve but offers numerous activities, including fly– and normal fishing, trail running, mountain bike trails, star gazing in our unpolluted skies, boating and 100km of self-drive tracks mapped out for your enjoyment. We also play host to conferences and private events and celebrations. It is our pleasure to invite you to come and enjoy our abundant South African hospitality.